Mercedes-Benz has taken the upmarket, sophisticated essence of its E-Class range and baked it into a stylishly underplayed large SUV that offers an abundance of top-flight tech in a non-daunting package. The GLE 450 will arrive in Australia in April of this year and will top the GLE range – at least until the arrival of the stove-hot 45 and 63 AMG versions in 2020. How much is the Mercedes-Benz GLE450? Pricing and spec for the new fourth-gen GLE line up hasn’t been announced yet, but we’d guess that the 450 – which is powered by Merc’s brilliant 3.0-litre inline six petrol engine – will set you back around $150,000 before on-road costs. This gets you AWD, twin 12.3-inch multimedia screens, a nine-speed auto, a 48-volt mild hybrid system and lots of safety tech as standard… but beware the options list, which will be as long as both your arms. Fuel-cost wise, Merc rates the GLE 450 at 9.4L/100km. Filling its 93-litre tank with premium will be a $120-$140 exercise on average, and you should get close to 1000km of range from a tank. Who is the Mercedes-Benz GLE 450 for? 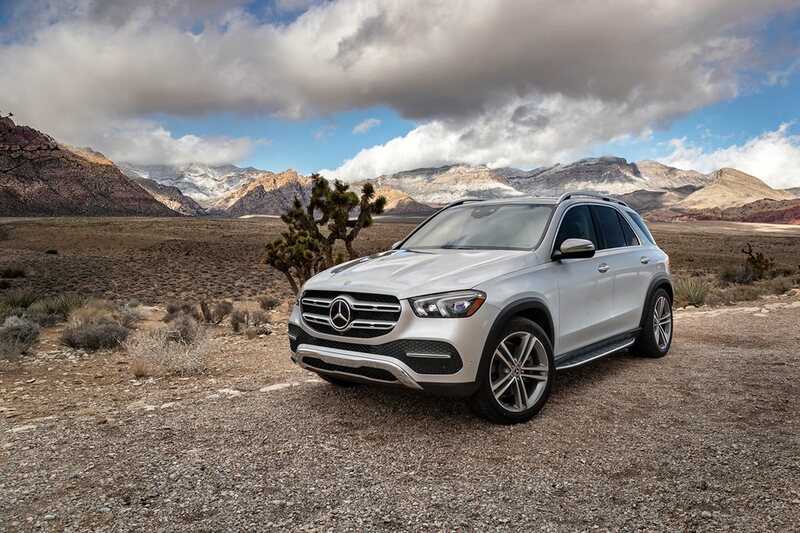 If you’re looking to step your premium SUV experience up a notch, or you’re graduating from a luxury sedan, then the GLE is definitely in your window. It’s stylish rather than showy, too, which will appeal to a more mature clientele - though its large size may be a turn-off here. Is the Mercedes-Benz GLE 450 easy to live with? A quick afternoon’s jaunt around the tourist haunt of Las Vegas and into the desert beyond reveals the GLE to be quiet, quick and comfortable, with a cabin that’s every bit as amazing as the E-Class upon which it’s based. In fact, there’s a level of familiarisation needed to get a handle on the GLE that surprised me. All functionality is driven through the wide screen in front of the driver, and the steering wheel controls aren’t especially intuitive straight out of the blocks. However, the majority of essential functions – like seat movement and climate control – are still accessible by good old-fashioned buttons. There’s a host of storage room, the rear seats are roomy and the wagon-like shape of the GLE gives it a big cargo area, too. How well does the Mercedes-Benz GLE 450 drive? The main reason for our brief Las Vegas sojourn is to sample Merc’s new e-Active suspension system, which uses stereo cameras to read the terrain ahead of the car to instruct the adjustable air suspension to keep the car as level as possible. Merc says it’s not a handling aid as much as it is a comfort enhancer for passengers, and we’d agree. It can be set at one of three levels (from low to high), and it’s easy to detect the system loading up the outside front suspension mid-corner to keep the car itself as free from body roll as possible. Otherwise, the GLE is a neutral, easy, comfortable car to drive. Benz’s sweet 270kW, 500Nm turbo six is boosted by a 48-volt mild hybrid system, which uses a small electric motor to add 16kW and 250Nm when required. At more than 2220kg, the GLE is a big bus, but the powertrain is a great match for the mass. The rollout of Merc’s new interior architectures and technologies – like the AI-enabled MBUX in-car assistant known as Mercedes Me, and the sat-nav that super-imposes street names on a live image – continues apace, and the GLE is an excellent example of making that tech a mainstream reality. It’s a large, roomy, capable wagon-like SUV that can be accused of lacking visual zing, but not everyone wants or needs a flashy show pony. It tows 3500kg, it has a massive boot, can be optioned with seven seats and doesn’t even use much fuel… what’s not to like?